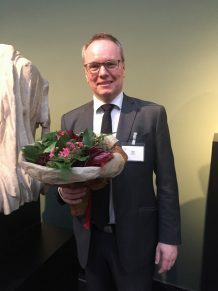 February 23, 2017 the prestigious EliteForsk prizes were awarded at Glyptoteket. Among the recepients of the 1.2 million DKK were center leader from ICourts, professor Mikael Rask Madsen and professor Søren Galatius from Center for Symmetry og Deformation (SYM). ”The Danish National Research Foundation congratulates on the award. Mikael Rask Madsen has in the first five years of his Center of Ecellence grant from the DNRF established a strong internationalt position, which is unique within the field of law. The DNRF has just now initiated contract negotiations with Mikael for a second grant period for ICourts and the foundation looks forward to following the center’s results over the next five years. 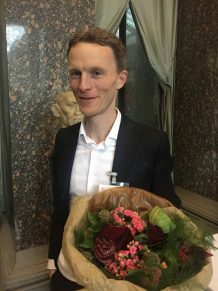 The Foundation is also very pleased that core member of the successful Center for Symmetry og Deformation Søren Galatius is recognized with the award. Also congratulations to Ph.D. student Rie Beck Hansen from Center for Hyperpolarisering i Magnetisk Resonans (HYPERMAG), who received the EliteForsk travel stipend of 200,000 DKK”.